When you are playing offensive Engineer on an A/D/PL map you are always wishing you could set up your stuff during that precious minute before all hell breaks lose and a poor Engy usually can’t set a foot out of the gate, let alone erect a building outside before the rest of the team has made the initial push. But sadly respawn areas are usually no-build-zones, designated by the mapmaker as areas in which an Engineer can’t place a building. Well, let me add quickly: For the most part. There are a few respawns which offer the occasional odd spot the mapmaker missed when marking the no-build-territory. Prominent examples are those spots directly at the gate on Badwater and Dustbowl, but also inside the respawn of Red’s Respawn on Gravel Pit. 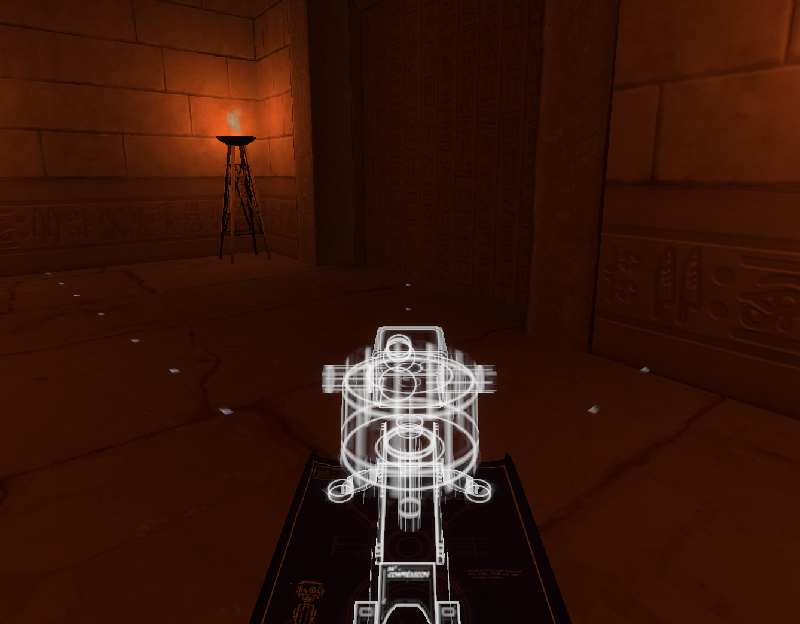 I also found larger areas in the respawns on Egypt, though I find it difficult to tell if those might exist on purpose. 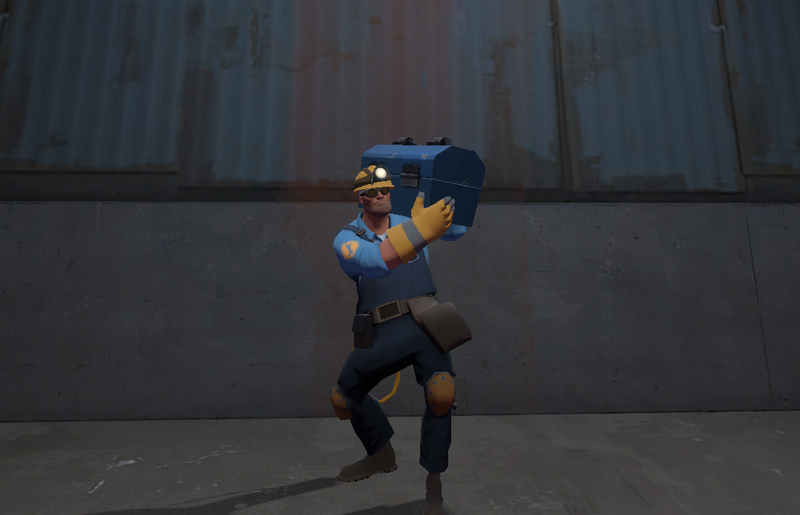 As a full-blooded career(less) Engy I was immediately taken by the revelation that I could build sentries on Badwater and Dustbowl; both hard maps for an Engy to get the ball rolling. Before the Engy-Update that action was of very limited use. On Badwater it was able to give some limited protection towards the left side, or get a cocky attacker by surprise on the right. But it wasn’t too much help and once the cart was in the tunnel it usually became even less useful quickly. On Dustbowl building inside the gate always was a pretty pointless enterprise. I did it dozens of times and can count on one hand how often the sentry lived past the first 2 seconds of mapstart. However, even if the sentry usually was destroyed immediately its presence alone made it possible to force the opponent’s hand. The stickies wasted on the sentry were stickies NOT available for creating a trap at the gate. Even better if the opponent wasted an uber on the sentry. The Engy-Update added another potential strategy: Now you could erect and upgrade a building to lvl3 (usually the sentry) and pick it up and move back into the safety of the respawn, and when the moment was right you could move forward and place a lvl3 sentry right on the battlefield. If the attackers have two Engies it’s easily possible for both to build and upgrade a sentry before the gate opens. But also the Wrangler gives that strategy a tweak. On Dustbowl, if the opponent doesn’t destroy the sentry immediately after the gate opens a wranglered sentry has a much better chance to survive while also being able to be used much more effectively than before. The same goes to a lesser extent for Badwater. So even while the actual effectiveness of building a sentry inside the gate is slim I’ve gotten used to do it all the time. On Dustbowl the main purpose was pretty much to force the opponent’s hand, on Badwater I’ve found it more useful in general. Quite frankly I’ve never given the fact much thought, that by doing this I was actually abusing a glitch in the map’s design. Let’s face it: There’s a reason why an Engineer isn’t allowed to build stuff in the respawn area. Otherwise Engineers could build teleporter entrances which were perfectly safe from the opponents or build sentries in spots more shielded than on the battlefield and secure from being sapped by Spies. It’s not entirely consequent, since a sniper or soldier can spam just as well from the (relative) safety of the respawn, but it’s clearly the paradigm Valve has imposed on the game. So the inevitable conclusion is that those spots in Dustbowl, Badwater or Gravel Pit were never intentional , but more the result of some sloppy work by the mapmaker. Still using these spots to erect buildings is nothing less than exploiting a glitch. Yes, the point could be made that those glitches have been existing for ages (in case of Dustbowl and Gravel Pit most likely from the time of initial release) and Valve have had something like 130 opportunities to fix it, but obviously have never done so. But that doesn’t change the fact that there is a general design philosophy in place. The fact that Valve doesn’t correct an obvious mistake creates no legitimacy to act against an unwritten rule imposed by that design philosophy. The negligence of Valve can’t be interpreted as permission or even silent agreement. It’s kind of embarrassing that it took a discussion regarding the do’s and don’t’s in the upcoming Highlander Challenge  to make me question my actions in that context. And the statement that it’s not a really strong or overly unfair exploit does little to soothe my conscience. When it comes to exploiting a bug or a glitch there are no mitigating circumstances. There’s no such think as “exploiting just a little”. The morale of this tale is up to you. But I have drawn my conclusion and will not erect a building inside a respawn again. There’s really no case to be made that this could have been an intentional exception. While the ETF2L has an expressive rule against building a teleporter in the red respawn of Gravel Pit there’s no mention of building at the gates of Dustbowl or Badwater.